Scary cute | Live Laugh Bark(at everything)! 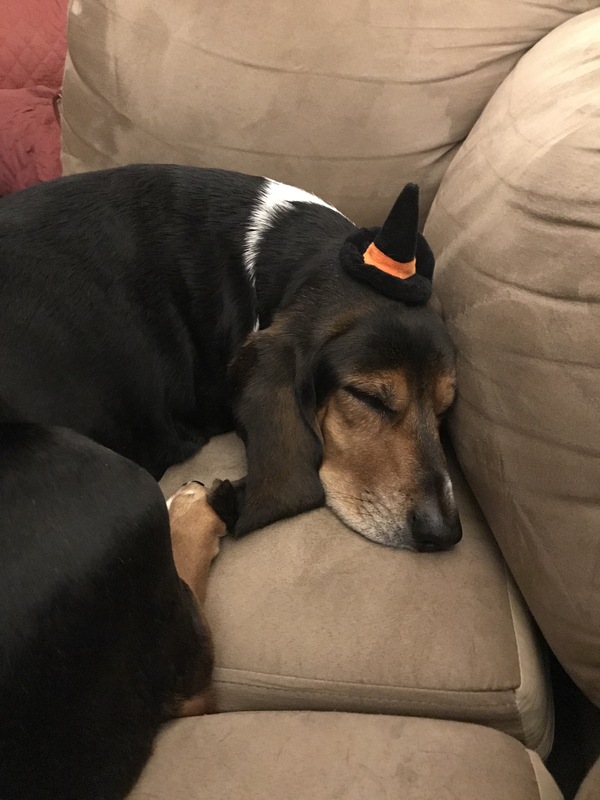 Mom has got the Halloween bug already…the things I have to put up with to get a little shut eye!! Your good if you can sit the hat on her head and still take a photo. She was exhausted after playing with the neighbor dog so she was too tired to care! !